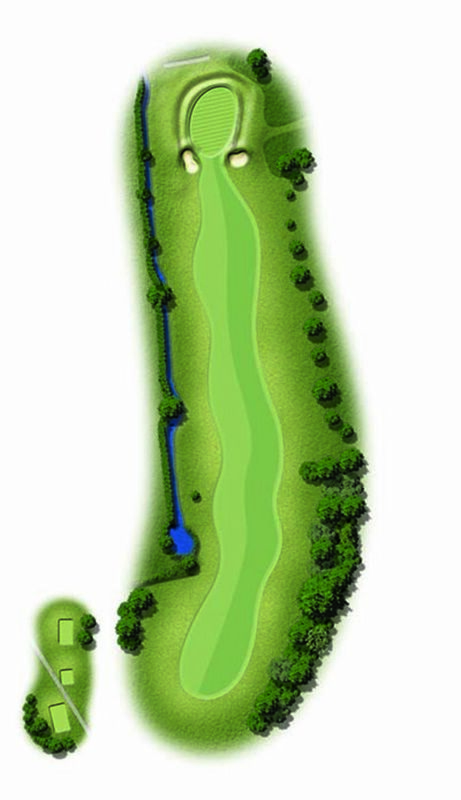 A super right to left shaped hole, with a pond on the left corner and trees up the right to give your drive focus! The approach shot to this green needs to be guided between the bunkers guarding the target. If your approach shot is from over 175 yards out, consider laying up and giving yourself a nice simple pitch, as missing this green presents all sorts of chipping challenges. A par here is a great way to begin your back nine.